Hmm, maybe… but what can be done? As I read about the Methodist worthies’ debate I remembered a couple of pages on “Spiritual Communion” in “A Manual of Catholic Devotion,” an Anglo Catholic devotional book of my teenage years (not perhaps on many Methodist shelves). For Christians unable to be present at Mass, because of their circumstances (infirmity, locality, unavailability of worship…) the manual encouraged Spiritual Communion. 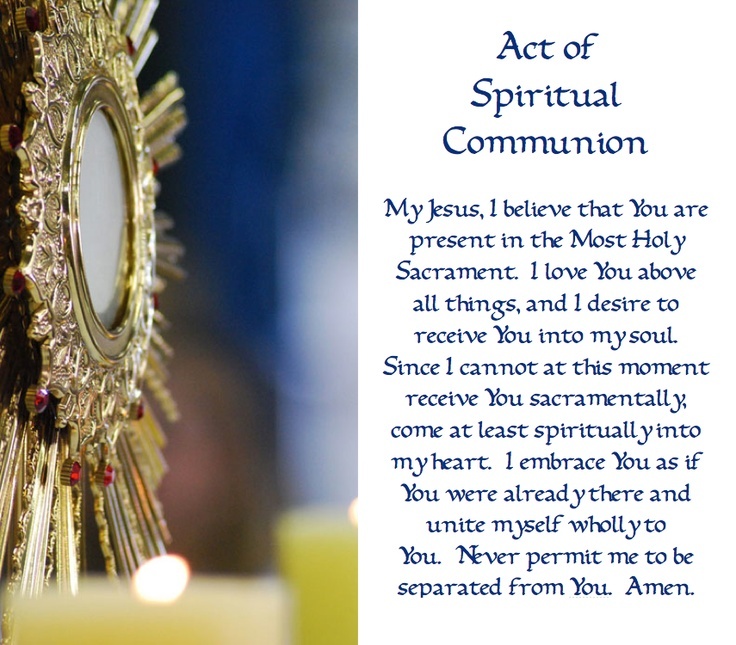 The internet, social media, image and music can help us pause in the day, focus on a celebration of the Mass, and help make an act of Spiritual Communion – an ‘ardent desire’ to receive communion. St Teresa, St Alphonsus Ligouri, St Jean-Marie Vianney and many more would encourage us in this way today, I feel sure… and perhaps, also, the Methodist Conference will. This entry was posted in Anglican, Anglo Catholic, Catholic, Christian, Christianity, Faith, Manchester, Prayer and tagged Methodist Conference. Bookmark the permalink.